Following the FIFPro Winter Tournament held in Oslo in January 2015 the PFA Ireland squad all secured employment this season. Gary Hulmes received his 100 Goals Club award today as we paid a visit to The Showgrounds, Sligo. He received the award from PFA Ireland General Secretary, Stephen McGuinness (left) and Player Executive, Ollie Cahill (right). The PFA Ireland awards 2015 will be held on Friday 20 November 2015. Paul Andrews, former Drogheda United and Shelbourne defender, is on the verge of a move to the Maltese premier league. On a bitterly cold morning at the AUL Complex, north Co Dublin, our members were ready for the latest step in their coaching career as they prepared for final part of the three-part UEFA ‘B’ licence, which started in September 2014. 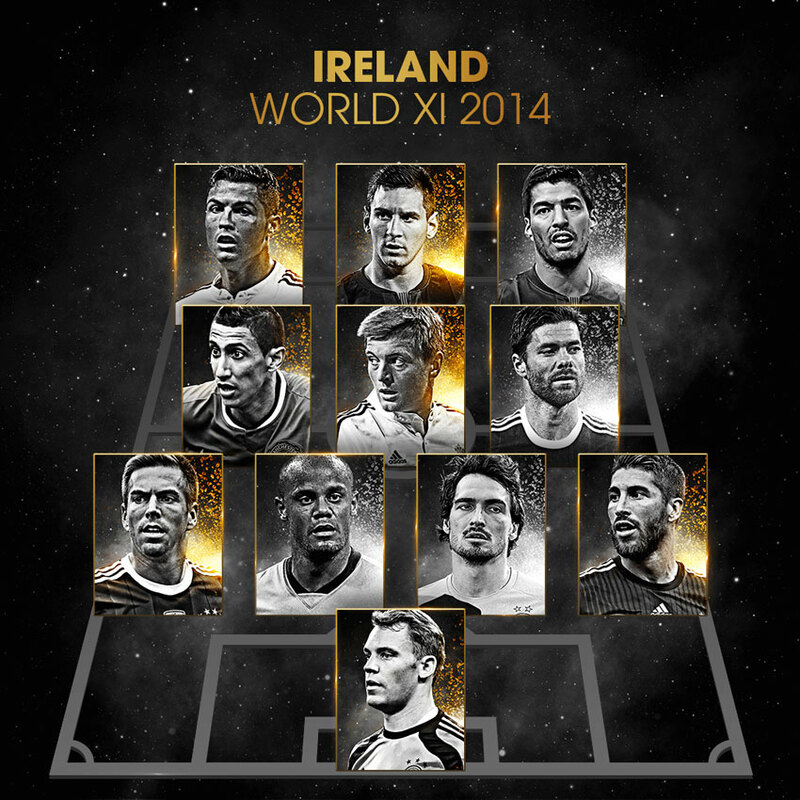 This is the team that members of PFA Ireland voted for the 2014 FIFA FIFPro World XI team of the year. Stephen Bradley has been named as the PFA Ireland manager ahead of the FIFPro Winter Tournament to be held in Norway in January 2015. The prestigious 2014 PFA Ireland Player of the Year Awards will take place on Friday 7 November 2014 at the Gibson Hotel, Point Village, Dublin 1.